If I failed to grab your attention with the title of this article you might not be reading this first sentence right now. You can call it a ‘title’ or a ‘headline’ but the secret is to ‘pack a punch’ at the top of any written communications. Done properly, this practically forces the reader to explore a little further, to READ more of your letter, article, document, etc. How can you use this secret with your resume cover letter? This little known gem works like magic and fits perfectly at the top of any job search cover letter. With a powerful headline, you have the opportunity to grab the reader’s undivided attention. Without it you run the risk of falling victim to the dreaded, “scan and trash” syndrome. 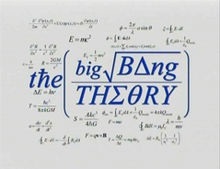 Why do I call it the “Big Bang” theory? TO GRAB YOUR UNDIVIDED ATTENTION! But it’s hardly theory. The fact is we are ALL natu*rally attr*acted to books with a sizzling title. We quickly scan newspapers and magazines looking for stimulating titles and headlines before we commit to reading further. A strong headline that “jumps” off the page wins the battle for our attention! Titles and headlines do all the hard work of gaining our attention first. Imagine the kinds of results YOU could enjoy in your job search when your cover letter starts off with an attention grabbing headline that is so compelling and unique, the hiring manager is actually excited to keep reading? This is exactly how YOU can land more quality job interviews in a hurry. I can already hear some of you grumbling, “But Jimmy, I can’t do that. It sounds too difficult!” Actually it’s quite easy. Well, right above “Dear Mrs. Smith” is exactly where your “killer” headline should be placed. By the way, to stand out even more this sentence can be bold-faced type and centered on the page. (Two lines maximum). => 3 reasons why I believe I may be the candidate you are searching for regarding the [insert job opening title here]. => I have researched [company name] and believe I am great match for the [insert job opening title here]. => I would love the opportunity to be interviewed in person for position of [insert job opening title here]. Do you think “Mrs. Smith” will be able to resist reading a little more of what these headlines promise? Using the ‘muscle’ of a strong headline at the beginning of your next job search cover letter can fill your calendar with more job interviews fast. Start YOUR next cover letter off with a “big bang!